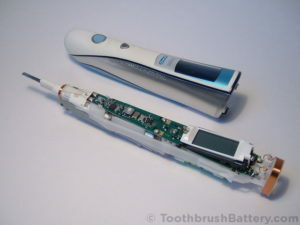 At Ionic Industries we often get asked if we offer a toothbrush repair service for replacing the battery in your electric toothbrush. Although we don’t currently offer a toothbrush battery replacement service we are always interested to hear about businesses both in the UK and abroad that offer this service. We’re keeping a list of businesses (see below) that offer a toothbrush battery replacement service who can repair your toothbrush for you. This includes Braun Oral-B, Philips Sonicare and other toothbrush models. If you find a good repair business (or are one) then please let us know and we can add it to the list below. We’re interested in repair shops that you can visit and drop off your toothbrush for a battery replacement, as well as mail-in businesses where you can send your electric toothbrush through the post, they repair it and send it back to you. We know that customers of ours have bought their new battery from us and then taken the toothbrush and battery to a local repair shop to have the repair carried out. Customers have used their local television repair shops as well as phone repair and domestic appliance repair shops, so let us know your tips and experiences in the comments section below. If you want to put a website link in your comment please remove the letters “http” otherwise it will be automatically deleted as spam. Alternatively, email us. The toothbrush battery replacement services listed below have not been checked or endorsed by Ionic Industries, so please contact them directly and assess their suitability for yourself before using the service. Some toothbrush repair services will require that you purchase the new battery from us first, then send or take both the battery and your toothbrush to them. Best to solder it back on Roger! On the 9000 (a v1 Triumph model.) These wires are most likely to be for the brush control circuitry to detect that the motor is running by sensing the oscillation of the shaft. where can i buy the battery in canada? You can buy a battery from us. We deliver to Canada. How much does it cost to have the battery replaced through service ? You need to contact each service provider and ask them. How do i know that the battery is dead? Because when i charged the toothbrush it shows 3 bars light up. When i press on the mode button it lights up with a bleep but when i press the on button nothing happens! Any advise given would be gratefully received. What is the type number marked on your toothbrush Narinder?